Energy Information Systems complement BAS systems and allow facilities managers huge flexibility and visibility with energy data. An energy information system (EIS) offers “visibility into the real-time energy data within a building, making it actionable,” says Chris Wilson, operations director, Energy+Eco, Environmental Systems Design, Inc.
Joseph Aamidor, managing director of Aamidor Consulting, agrees that best applications vary by building type. 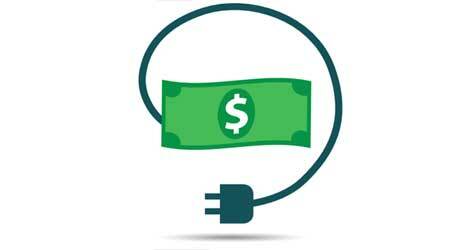 For a commercial real estate firm, an EIS can provide better tenant utility billing than the old method of allocating energy chargebacks by square footage rather than actual use, he says. “Many corporations can use EIS real-time or interval data,” says Aamidor. Facility managers can then view where energy spikes are occurring and do better load management. Better load management may allow a facility to take advantage of utility peak demand and demand-response initiatives. “Another major advantage of EIS is measurement and verification,” notes Aamidor. It can also be used for utility bill management and for identifying and detecting utility billing errors. Modern EIS dashboards often provide users with consolidated views of all utility data in one place. Today’s EIS generally offer functionality and dashboards to help manage and reduce energy consumption from all sources, as well as other resource consumption and waste, notes Aamidor. Another case Audin cites is an opera house, where the electric heating system control failed, keeping the building fully warm in the winter during unoccupied periods. Thanks to EIS, the problem was caught and rectified. Another way, EIS proves helpful to BAS is by trending energy and resource data. “If you do not retrocommission the BAS regularly, it almost always gets out of kilter and you will notice your energy use is creeping up,” Audin explains. EIS software can stand alone or provide data to be integrated into the facility’s BAS or EMS. Some EIS programs interface with the Environmental Protection Agency’s Portfolio Manager to make it easier to obtain Energy Star scores for buildings. Often, EIS also can calculate and report greenhouse gas emissions resulting from energy use as well as energy use intensity. While an EIS can be incorporated into a BAS, some companies are leery of allowing such transparency and access to actual building controls systems. For cybersecurity purposes, companies often opt to keep EIS and BAS access separate from each other. When EIS and BAS are combined in one system, companies tend to restrict EIS access and add increased security measures.